Instead of buying Bisquick baking mix, make your own at home with a few simple ingredients. Recipe reprinted with permission from Cook's Book of Uncommon Recipes by Barbara Hill (Sumner House Press). Mix flour, baking powder, salt, cream of tartar, baking soda, nonfat milk, and shortening together in large bowl (if you have a large mixer it is ideal to use for blending this mix but it can also be done quite adequately using a pastry blender to cut in shortening). Add shortening about a half cup at a time mixing well after each addition. The mixture will be mealy when mixed adequately. Put in air-tight container and store either in a refrigerator or at room temperature. Mix 2 cups of Baking Mix with 1/2 cup water. Bake at 450 degrees F for 8 to 10 minutes. Mix 2 cups of Baking Mix with 2 Tablespoons sugar, 1 beaten egg, and 2/3 cup milk. Bake at 400 degrees F for 15 minutes. Mix 2 cups of baking mix with 1 beaten egg and 1-1/3 cup milk. 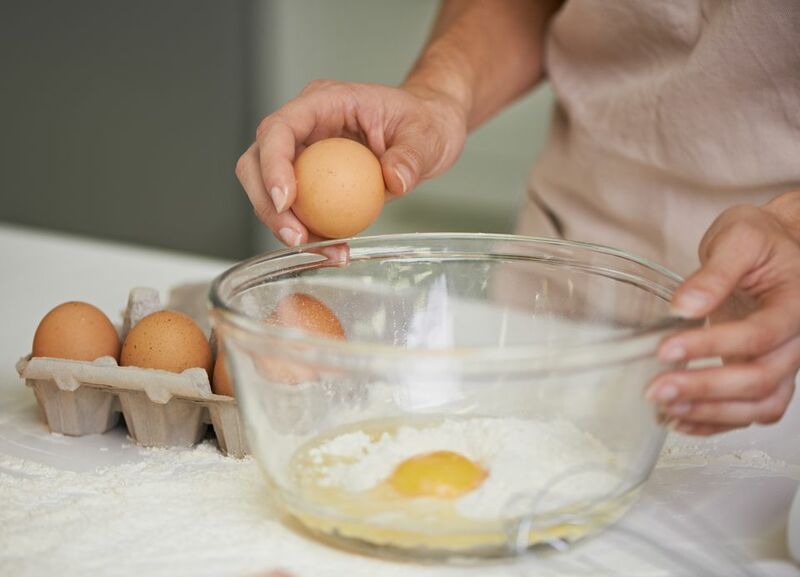 Mix 2 cups of Baking Mix with 1 beaten egg, 2 Tablespoons oil, and 1-1/3 cup milk. You can use this mix to make biscuits, dumplings, muffins, coffee cake, pancakes, and waffles. It can also be used as an ingredient in casseroles and desserts.